Yesterday I cast off the front too! It looks a little low cut doesn't it! That is where the placket will go, so I think it will be perfectly decent. The longer I knit with this yarn the more I like it. The yarn is so soft and drapes so elegantly I think it will be a very useful addition to my wardrobe. 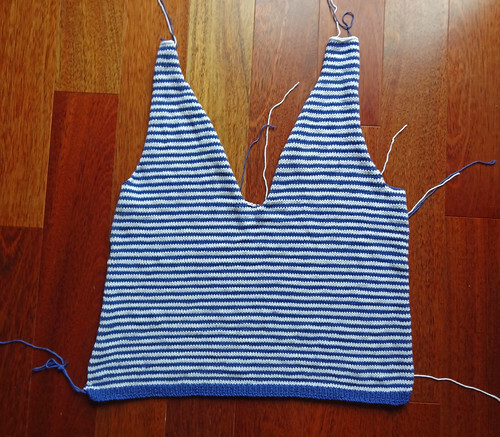 Even though there is no shaping in the tee, it will look like it has, simply because of the finished knitted fabric. 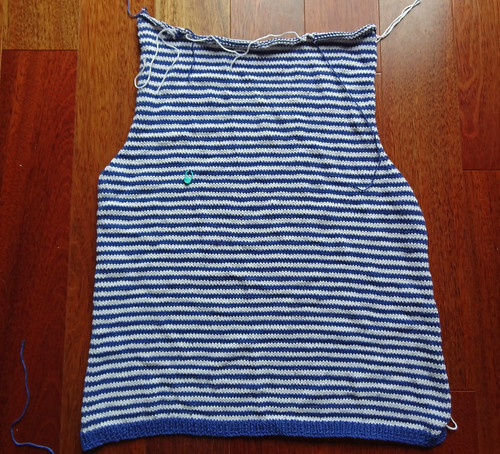 I have finished the ribbing on the first sleeve and now that I am focusing on this one garment, almost exclusively, I hope I will manage to finish this soon. I really want to wear this tee before Summer is over! If you are inspired to try knitting with King Cole Bamboo Cotton, mine was supplied by Minerva Crafts to review. 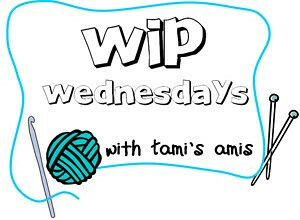 As this is a work in progress, I shall link up to Tami's WIP Wednesday. If you want to join in, click the button.